STUNNING 180 GRAM LIMITED EDITION BLUE VINYL REISSUE OF BATHORYS THIRD ALBUM. 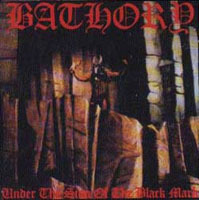 Under the Sign of the Black Mark is the third album by Bathory. 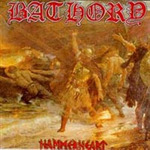 It had a major influence on the black metal genre, specifically the Norwegian black metal scene that emerged in the early 1990s. 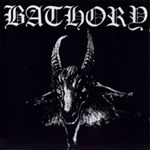 The song "Woman of Dark Desires" is a tribute to the band's namesake, Elizabeth Báthory, and has become one of their most recognized early tracks. 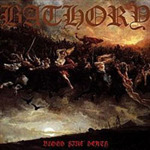 "Enter the Eternal Fire" was the band's first epic, reaching nearly seven minutes in length, and presaged the turn towards what would become known as Viking metal which Bathory would take on their next three records.